Mr. Weintraub has significant experience in a wide range of commercial litigation matters in state and federal courts. His areas of practice include appeals, business torts, class actions, contract disputes, corporate dissolution, restrictive covenants, defamation, fraud, insurance and reinsurance, intellectual property, internal investigations, professional malpractice, and securities. His experience ranges from representation of individuals to representation of large multinational companies involved in complex litigation. He has also participated in internal investigations. With respect to employment litigation, Mr. Weintraub has defended employers against allegations of discrimination, harassment, retaliation, and failure to promote or hire. He has drafted position statements and successful motions to dismiss, and has tried employment cases to judgment, including in federal court and before the New York State Division of Human Rights. In the field of alternative dispute resolution, Mr. Weintraub has represented clients in arbitrations before FINRA and the American Arbitration Association. His alternative dispute resolution experience includes service as a member of the mediation panels for the Southern District of New York and the Commercial Division of New York State Supreme Court, and he has mediated more than 40 matters. Mr. Weintraub has also served as an arbitrator for New York Civil Court. Mr. Weintraub has taught persuasive writing, brief writing, oral advocacy, negotiation, legal research, and legal analysis as a professor at the University of Denver Sturm College of Law and St. John’s University School of Law. While at St. John’s, he volunteered as a professor in the Ronald H. Brown Law School Prep Program, a pipeline program for increasing diversity in the legal profession. He is currently an adjunct professor at Fordham University Law School. 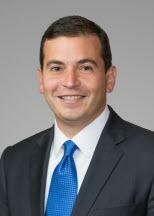 Mr. Weintraub is a member of the NYC Bar Association’s Minorities in the Courts Committee and the Litigation Mentoring Circle, where he served as co-chair from September 2015 – June 2017. He is also a member of the Hispanic National Bar Association. Mr. Weintraub received his J.D. degree from New York University School of Law and his B.A. in Economics from Yale University.